Alexander McQueen was always one of my personal favorite designers, and each season, I’d anxiously await his amazing collections. After his (extremely sad) death in 2010, Sarah Burton took over as creative director of the brand, and to this day she’s still doing a great job of continuing on Alexander’s legacy. This latest collection is no exception. Inspired by the Shetland isles (in my native Scotland! 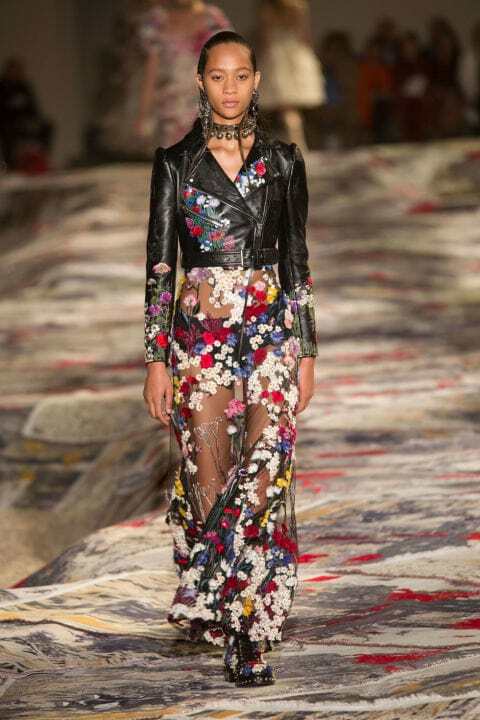 ), the Alexander McQueen Spring 2017 Ready-to-Wear show was full of leather, lace, and pieces inspired by Shetland’s very own Fair Isle knits. This look feels very Lord of the Rings to me – so naturally, I’m very into it. It’s quite traditional, but the necklace, belt and toughen it up. Pair a white lace dress with a plenty of embellished accessories to channel the look! I love this sheer floral dress so much; it’s one of my favorite pieces from the whole collection. 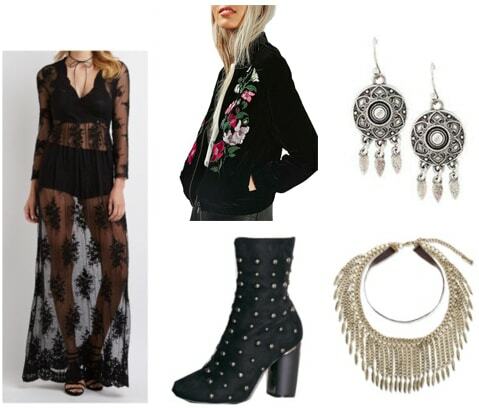 I paired a sheer maxi dress with this embroidered bomber jacket to recreate the look. (You could also add pins or patches to your favorite leather moto jacket for a more accurate look.) The jacket is on the pricier side, but a good statement jacket will last you a long time, and this one is extra cute thanks to the floral details. There’s a LOT going on in this outfit. 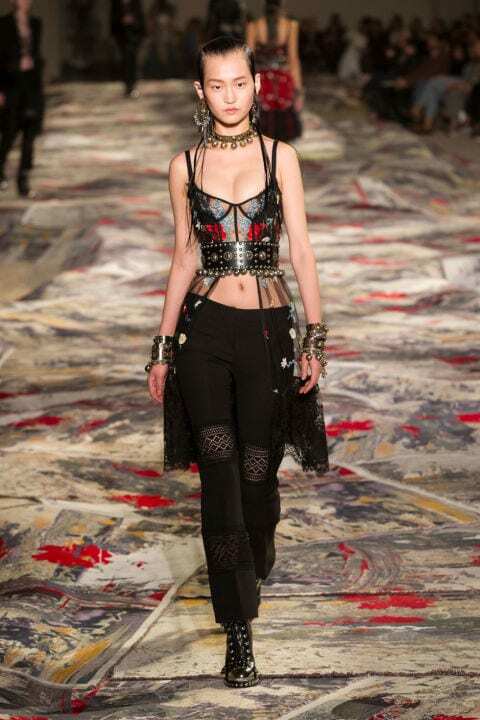 The bustier style top, the lace insert trousers… there’s even a mesh waistcoat in there. I simplified the look a bit, purely to make it more wearable and practical (and affordable!). Jeans and a bodysuit are outfit staples, and this Topshop one is gorgeous. 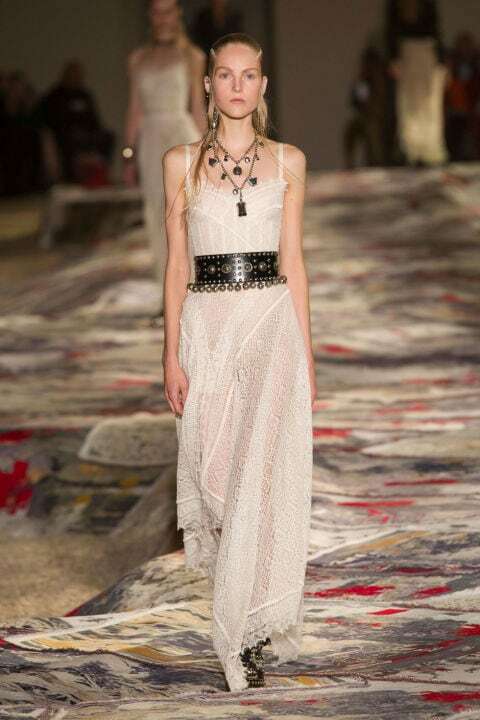 Add some serious jewels to bring the McQueen vibe together. 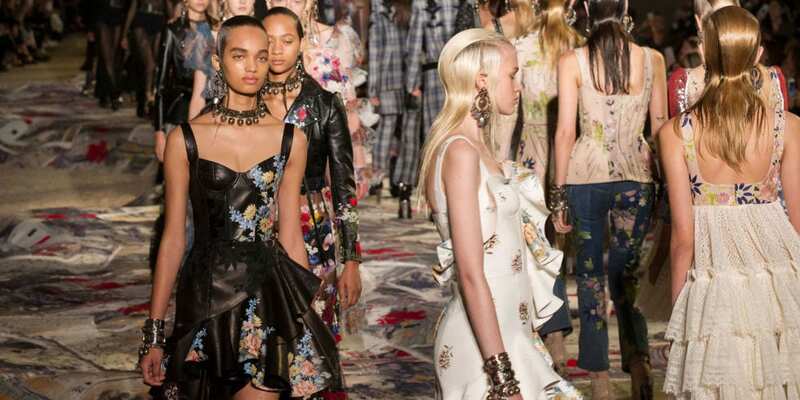 Do you like the latest Alexander McQueen collection? Would you wear these outfits? Let me know in the comments!